01.07.2016. The 100 Club. London. 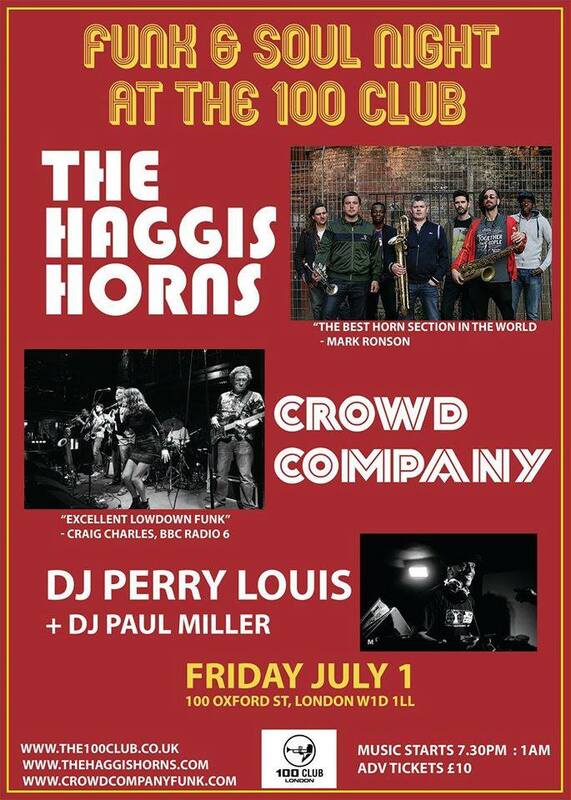 A night of funk and soul at the legendary 100 Club with some of the UK’s hottest bands and DJs. 730pm to 1am. Crowd Company are an 8 piece band with a modern, original take on vintage funk and soul. Brimful of energy with catchy hooks / melodies and tight groove the band combine a retro Hammond organ based sound with a virtuoso horn section, soulful lead and harmony vocals. 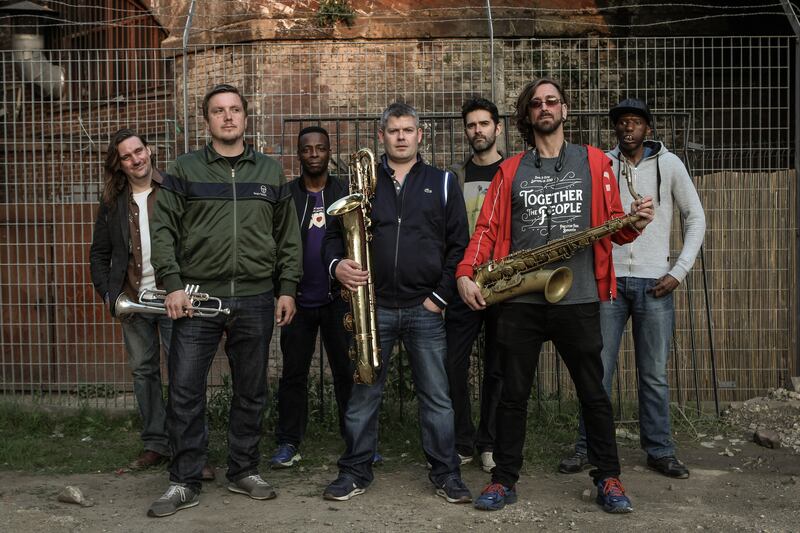 They are acclaimed as one of London’s leading bands of the genre and as well as headlining sellout shows at many of London’s leading venues the band recently were asked to open for acclaimed Sharon Jones & The Dap Kings artists Saun & Starr. And before then they opened for New Orleans funk legend George Porter Jr of The Meters on his UK tour, also sharing the stage with him to play some Meters classics.